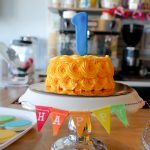 I’m finally sharing details from Miles’ 2nd birthday bash. 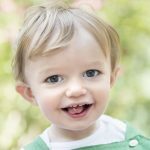 He had a Pajama Party Brunch 2nd birthday. 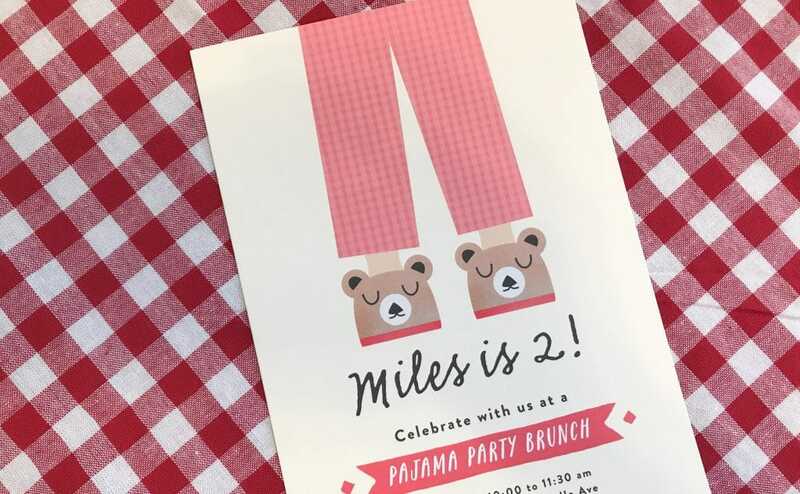 We always joke that as a 4th child, Miles lives in pajamas. He’s always in pajamas when we drop all of his siblings as school and then often still wearing them at pickup. When Tommy gets home from school and naps, he likes to put pjs on and Miles follows, so he “gets dressed” into new pjs. 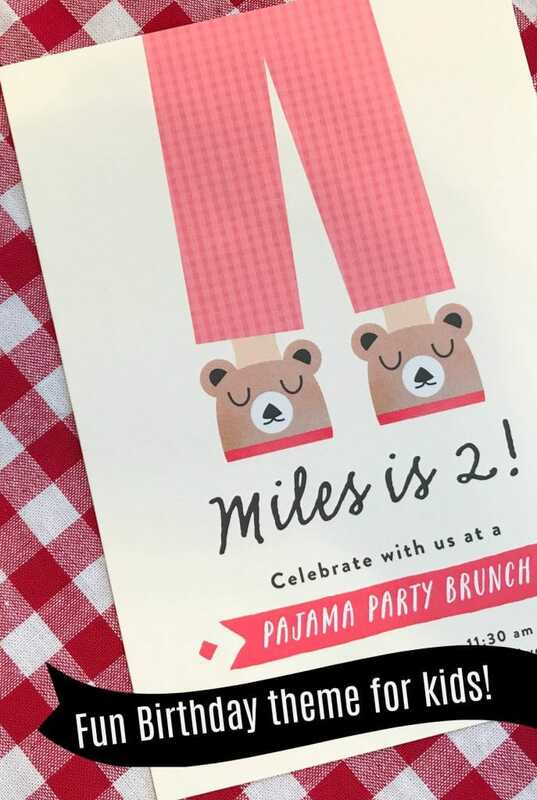 His love of pjs combined with my love of hosting parties at breakfast time is how I came up with his party theme. 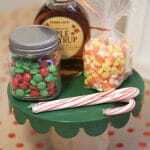 Then, I found these cute invites on Minted and the rest of the theme came together: teddy bears and gingham. I kept the decor really simple. I used wrapping paper as table covers (as usual). 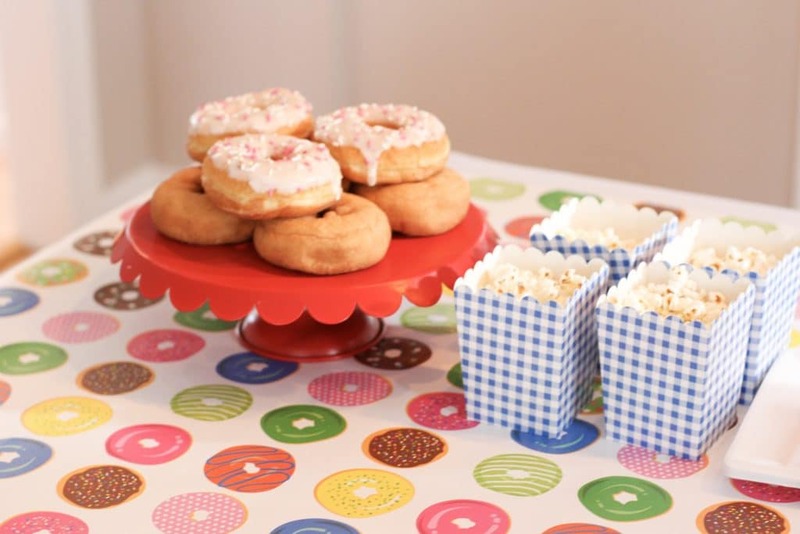 I found really cute wrapping paper with donuts for one table. The other table I did plain brown paper with all of our gingham supplies. 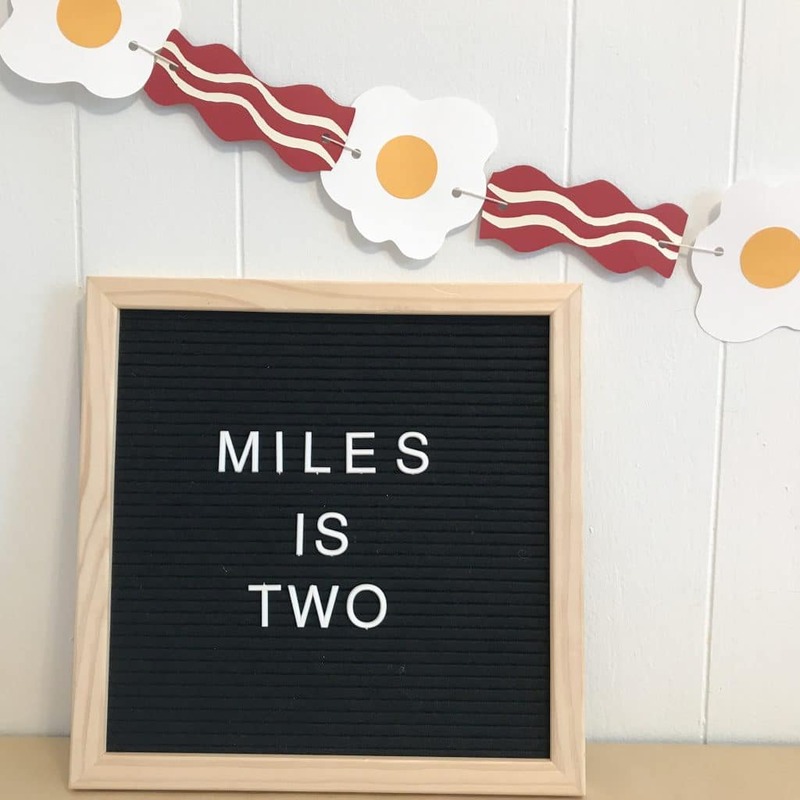 My favorite part of party decor was a bacon and eggs banner from Etsy shop, Chaotic Collected. 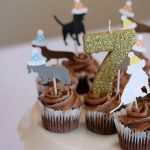 It’s one of my favorite Etsy shops for party supplies (all of the puppy supplies from this party are from this shop). 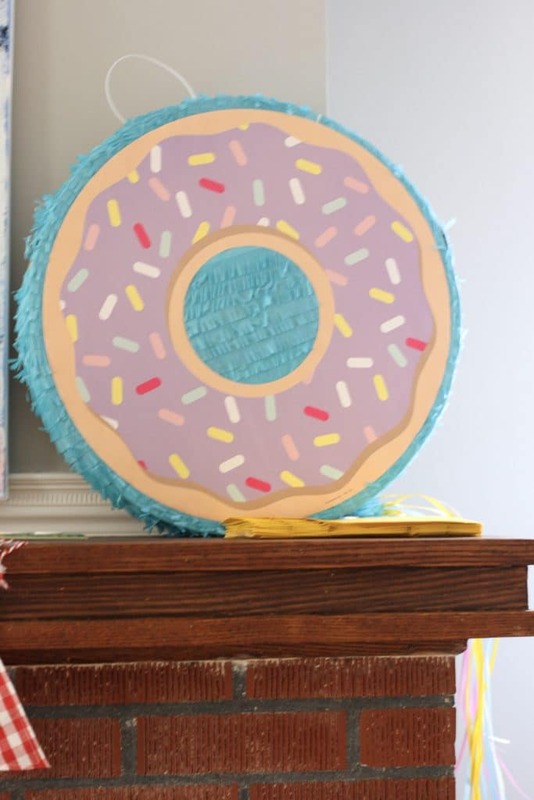 It was the perfect banner for a brunch party! 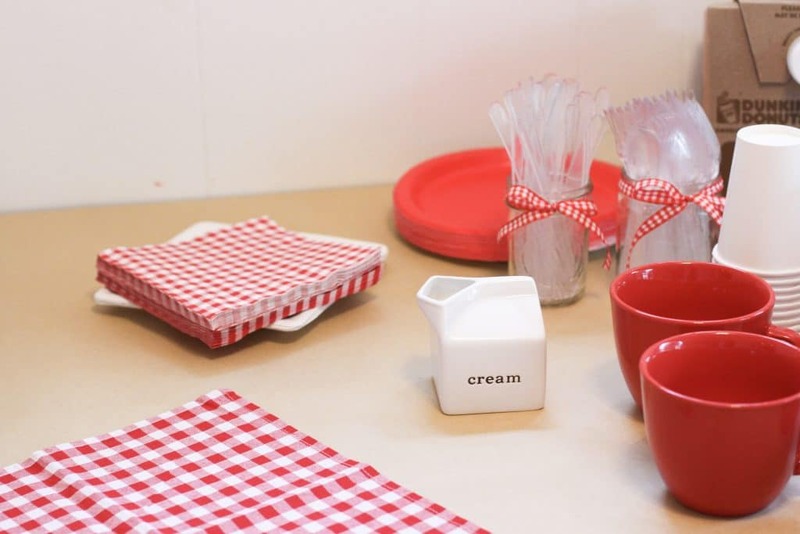 The rest of the decor was Oriental Trading: I found red plates, gingham napkins, teddy bear shaped cake plates and cute gingham snack containers. 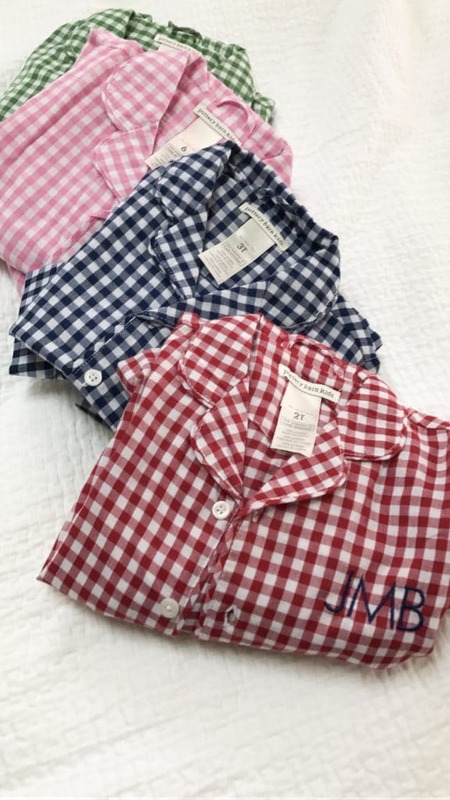 Pajamas: I went with the gingham theme and found adorable pajamas for my 4 at Pottery Barn Kids. I added initials on the pajamas for the birthday boy! Our good friend made adorable (and delicious) cookies as favors for Miles. They were so good, they all disappeared before I could get a photo. 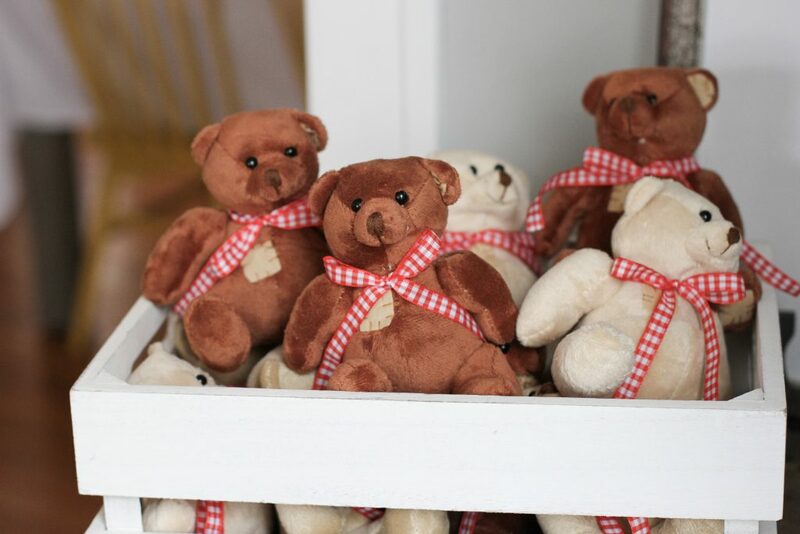 The guests all got a cookie to take home and a cute little teddy bear. 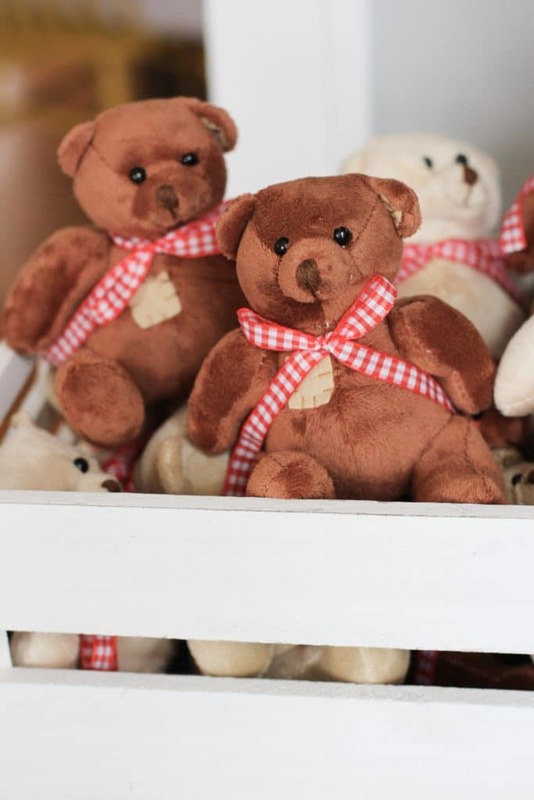 I ordered brown teddy bears from Oriental Trading and tied red gingham ribbon around them. 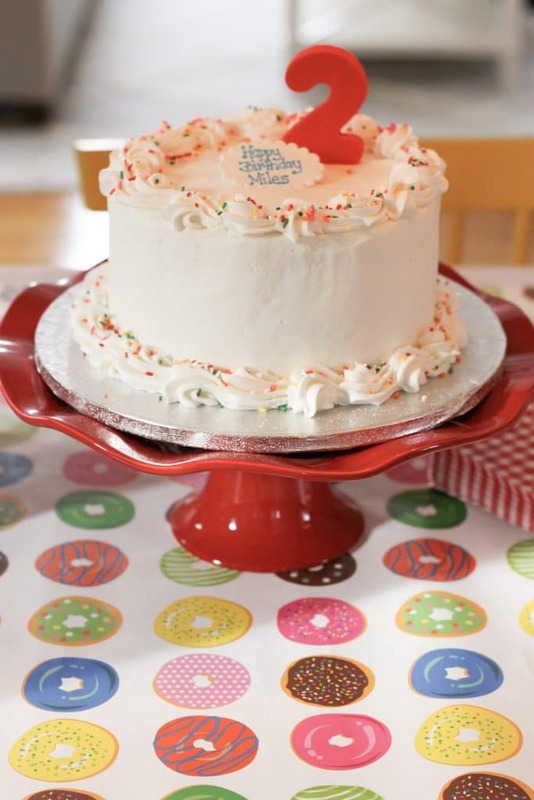 Pin this Party for later! Now for a giveaway! 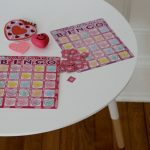 We are excited to give away a $50 Oriental Trading gift card in this post. Use the form below to enter. Good luck!